The Russian president, alerted by Valery Gergiev to the soaring overheads of touring artists, has said he will look into subsidising flights for frequent flier artists – so long as they fly Aeroflot. Gergiev himself goes by private jet. Wonder if he would extend it to incoming artists. Wonder if it will apply to cellos needing seats. 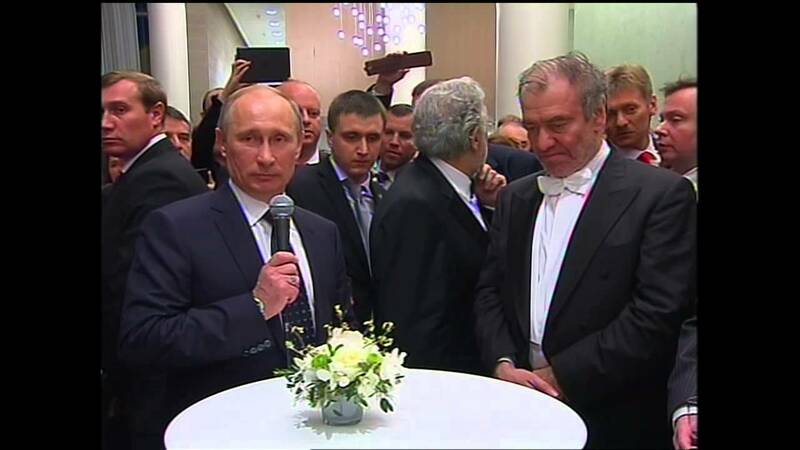 One of them, the National Philharmonic of Russia, was founded at the initiative of Putin. Moscow also has more opera performances per year than any other city in the world, including Vienna, Paris, Berlin, and London. Correction: The Marinksy is, of course, in St. Petersburg. As ongoing investigations into the Russian and Global Laudromats gain momentum, it is reasonable to suggest that a number of large international opera houses and orchestras should be very worried about large donations that they have received over the past decade or so, whose sources have not been as rigorously checked as they might have been. Most Americans think it’s normal for major cities to have just one full time symphony orchestra, but that is not the norm internationally. It is normal in Europe for larger cities to have multiple orchestras, something made possible by far higher levels of public funding. Due to a lack of public funding, only *one* city in the USA (New York) has even two orchestras. I list here the 12 full time orchestras of Moscow, and the multiple full time orchestras in London, Paris, Munich, Vienna, and Berlin. I also added new listings for 8 additional cities. Corrections and additions especially for the last 8 are welcomed. + Orchestre des Concerts Pasdeloup. BELOW ARE SOME NEW LISTINGS I’VE ADDED. CORRECTIONS AND ADDITIONS WELCOME. There are major and very fine orchestras in the UK that are not London-based. Certainly three in Glasgow and two in Manchester. And they offer far more than the same old programme three nights running of pot-boilers! Thanks for your comment, Mr. Osborne. You always add some color to this site. I learn a lot with you. Of course that some of these orchestras are not full-time. I still prefer the American system. I don’t think is fair for a taxpayer that doesn’t have anything to do with classical music to support orchestras. In Prague, right now the National Theater hosts two opera companies- the State Opera and the National Theater – each has its own orchestra. The one of the State Opera is far less than average in quality, in my limited experience. – Hungarian state opera (same case as Vienna Phil and opera, two orchestras (Bud. Phil. And Hun Opera) runned by the same institution, but a large personnel so they can cope the needs. Really? On Aeroflot, no doubt. I wouldn’t fly AEROFLOT even for free! Also depending on one’s country of origin, he might decide you are a spy, and cart you to jail. Let’s not forget that one of his money boys is a cellist! THANKS but NO THANKS!